You are currently browsing the tag archive for the ‘suzanna jansen’ tag. Let’s start this Salon post with a confession: I have been a bad grrl and bought 3 more books for myself! I’ve got a great excuse though: I joined the new online Japanese Literature Book Group and Read-along at In Spring It Is The Dawn — and these are the first books on the agenda. I am really looking forward to it! Read or watch something scary, spooky, or suspenseful, and Japanese of course! Current book: The Grapes of Wrath by John Steinbeck. Wednesday’s update post will tell you why I picked this book. I am ‘buddy reading’ with two Boekgrrls: MaaikeB and Manon, so one of these days I should mail them my thoughts so far! That’s it for now. I need to get up my review of Harper Lee’s To Kill a Mockingbird a.s.a.p. so that I can send this Bookcrossing book along to the next reader. Better get on with it! 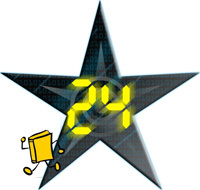 I am mentally preparing myself for the 24 hour read-a-thon that will take place in the weekend of 24-25 October. Not only am I contemplating my pile of books and what snacks to hoard, but last Friday I also joined this month’s Bookcrossing read-a-thon for which I need to read 24 hours in one week. I am having quite a busy schedule so I’m not at all sure if I will make it, but a grrl can try. I’ll write a seperate post of my progress in Richard Yates‘ Revolutionary Road! 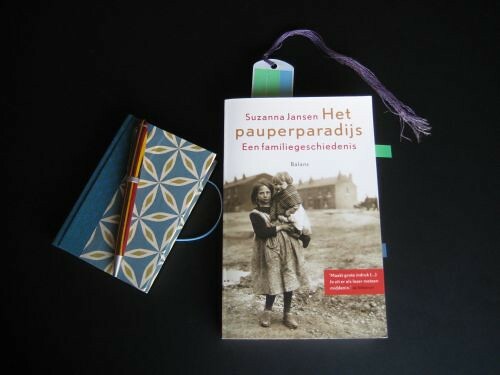 I had finished Het pauperparadijs the day before the challenge started. Another bookish thing that happened to me this week is that I received a review copy The Book of Dahlia by Elisa Albert, in Dutch translation. I have never before received a review copy and did not request it… It was sent to me as a prize in a little spring quiz. Now what do I do? I guess I shouldn’t feel obliged to review the book. But I am not even sure if I would like to read it :-o The blurb suggests some kind of chicklit — which I am no fan of. Anyone out there who knows if that’s true? Even better: can anyone convince me to read, or not to read this book? Last but not least I am very excited that BAFAB week is coming up! “BAFAB?” Yes! Buy A Friend A Book in the first week of October :) Because of my huge Mt. TBR and overcrowded reading programm for the rest of 2009 I am not allowed to get myself any new books. But I can surprise someone else, can’t I? :)) Now how am I going to tackle this: choose a book first and then a beneficiary, or the other way round? 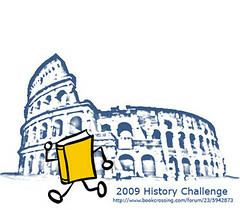 Oh my, and I almost forgot: I also started another round of the 2009 History Challenge at Bookcrossing! I’ll have to release 12 books at historic sites before the end of this year; that makes 3 a month. Having done 4 already I’m ahead of schedule. Read all about my releases in my forum post. I did a first round of 12 from January until May.